The first of A. S. Diven's shoulder straps is a double bordered staff major's strap. The border is made from all dead bullion and the leaves are distinct in that they are not detailed in any way and made from all dead bullion. Double bordered straps are not regulation but common during the period. The second of A. S. Diven's shoulder straps is also a double bordered staff major's strap. The border is made from all dead bullion and the leaves are distinct in that they are detailed with bright bullion that forms the pattern of the stem and veins within the leaves. These two shoulder straps illustrate the two major ways in which leaves are embroidered on period straps. The second is the more commonly encountered type. Alexander Samuel Diven was born February 10, 1809 in Watkins, Schuyler Co., New York. He was a lawyer and was admitted to the New York bar in 1831. He practiced in Elmira, New York. He served in the New York State Senate 1858-1859. In 1861 he was elected to Congress as a Republican, representing the 27th Congressional District of New York. He was commissioned lieutenant colonel of the 107th New York Infantry Regiment August 13, 1862 and became its colonel on October 21, 1862. He enjoyed the distinction of being one of a handful of congressmen who were actively serving in the Army. He was present on the field at Antietam and at Chancellorsville as part of the 12th Army Corps. He was resigned his commission as colonel of the 107th on May 11, 1863. His reasons for doing so are uncertain, but certainly at his age he may have found service in the field taxing. 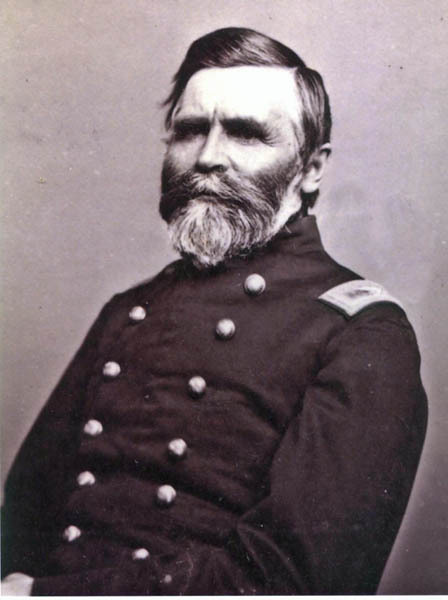 On May 13, 1863 Diven accepted a staff commission within the Adjutant General Department as Acting Assistant Provost Marshall General for western New York State. His rank was major and although this is a demotion from his prior rank of colonel his duties no doubt allowed him to live at home. Staff officers commissioned as volunteers rather than regulars were termed "acting" and were in addition to the very limited number of permanent staff positions approved by Congress for the various staff departments. His duties included enforcing the draft within his district. On August 30, 1864 he received a brevet promotion to Brigadier General. On September 12, 1864 Diven was promoted to commander of the Military District of Western New York with his headquarters in Elmira. He resigned his commission on April 5, 1865. After the war he worked as a railroad executive, mostly with the Eire Railroad. He died in Elmira, N.Y. on June 11, 1896.